Play Life is what we do here at CoachVille! 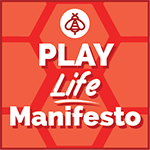 The Play Life Manifesto describes our quest to transform the way we play and coach life! The Industrial Age of work made Humans isolated, abundant and pretty miserable; even the coaching was task and problem oriented. We believe that we can thrive in the Connected Age of Play by unleashing the Spirit of play lying dormant inside each of us; we can coach for creative self-expression, joyful experiences and meaningful contribution! Play Life is a way to live fully by expressing your superpowers in pursuit of your dream. Play Life is a framework for coaching where you guide your player to PLAY for their dreams rather than work on tasks. Play Life will get you out of Industrial Age Isolation and out onto the Connected Playground called “The World”! Get your copy of the Manifesto! A manifesto is a piece of writing that describes a problem that humanity is facing and proposes a solution that we can pursue together. The Play Life Manifesto PDF is a 25-page fun and colorful read that will spark your next adventure AND inspire you to join our quest to bring the Human Spirit of Play back to life. If you have a Dream in your heart to do something BIG in the world with your YOUnique abilities then you need to read this manifesto NOW; It will uplevel the way you pursue your DREAM. If you are a leader, it will transform the way you coach your players. 23 Facebook Live presentations that you can watch for free on the CV website. Starting in late November 2018 I jumped into the world of the Social Media Performance Space and recorded each of the 22 Action Ideas of the manifesto as a Facebook Live presentation. They were a little clunky at first and I got better with practice. But the spirit of play is on display from the start. 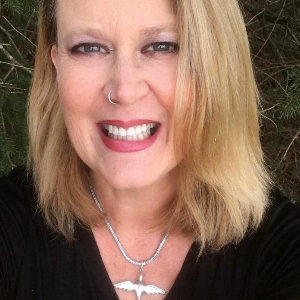 I explore in depth each idea ESPECIALLY how you can face the fears that you learned in the Industrial Age of Work and the path of transformation you must travel to thrive in the Connected Age of Play. Learn about the 12-week Coach Training Teleclass here. You can become a very good – even life-changing – Coach VERY Quickly. You will be amazed at how good your coaching will be and how much your players – even your first few – will get results AND enjoy the experience. In this 12-week program you will be both a player AND a coach at the same time… just like LIFE! 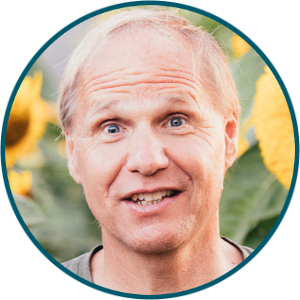 You are invited to a have a 30 minute call with Coach Dave to share your dream!